You know I'm not a big fan of being closing background applications, for this there are very different opinions, for me nothing is gained and lost time, although it is true that some applications like Skype or Pandora if they stay in the background consuming resources. Anyway I know there are many people that if they eliminate multitasking applications several times a day, for all of them is this convenient application. SwipeAway you permit and close all open applications with a gesture, just select whether you want the gesture is from top to bottom or vice versa, open the multitasking and swipe your finger as you've configured. All applications that have opened recently removed from the RAM of your iPhone. 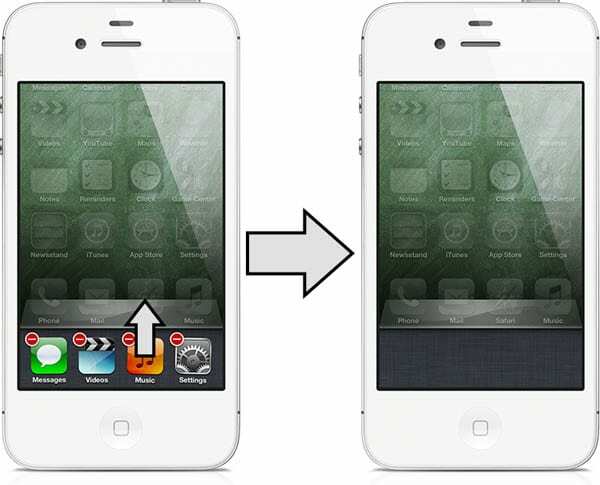 Article SwipeAway: slide your finger to close all applications (Cydia) was originally published in News iPhone .